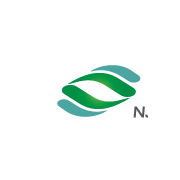 Founded in 2000, Nanjing Winsome Chemical Limited( NAST Fine Chemicals Inc.) is a specialized researcher, developer and manufacturer of chemicals. Customers, Quality and Service are number one priority to our company now, and we are working hard for customers' satisfactions. With the help of technicians in Nanjing University of Science & Technology (NUST), our company now is very skilled in the research, development and manufacturing of special chemicals and custom-made chemicals. Presently, 80% of our products are exported to USA, EU and Japan.